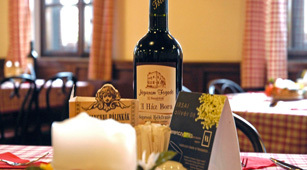 The fine gastronomy of the Jégverem Inn was recognised with a Grand Prix award. We are confident that you will also find delicious, filling meals on our menu. The prices for small portions are listed in the menu next to the full portion price. 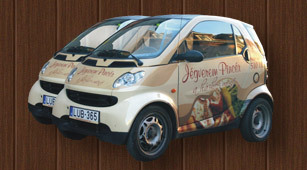 From Monday to Friday the "Jégverem Waiter" is going to your house between 11.00-22.00! The Jégverem Inn is housed in a 250-year old, wood-beam building, with 2- and 4-bed rooms with all modern amenities, including TV and in-suite bathroom. 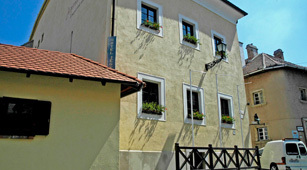 The Inn is an ideal starting point for exploring the city of Sopron, as it is located right next to the historical city centre, in the old “Poncichter” quarter. Copyright Jégverem Fogadó Sopron. Minden jog fenntartva. Site by Voov.